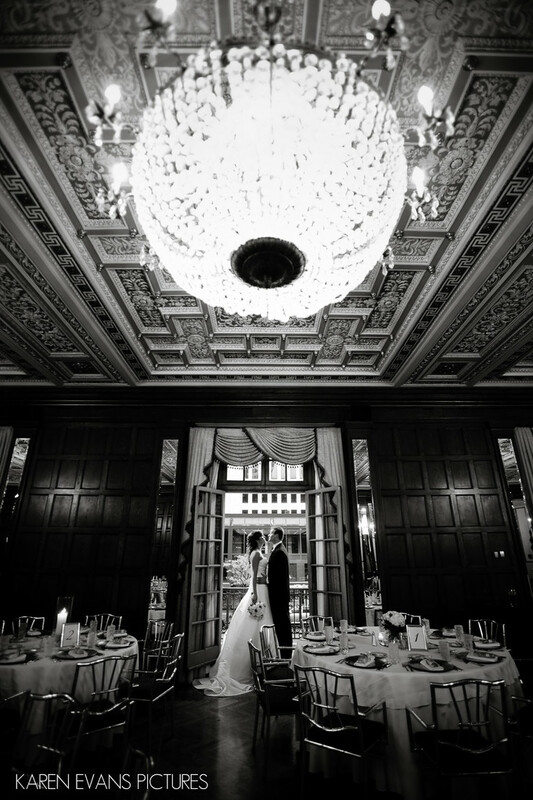 The Athletic Club of Columbus is a grand venue with lots of dark paneling and crystal chandeliers and their lovely gold chiavari chairs. Everything sparkles and glows. I love this portrait made there of Mary and Greg, standing in the doorway of the balcony overlooking Broad Street.Keywords: athletic club (6), downtown (246).